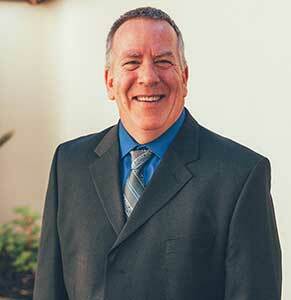 Mr. Niermeyer has maintained a law office in Stanislaus County since 1991. His diverse law practice has allowed him to handle a multitude of civil, criminal, family law and probate cases. Mr. Niermeyer also provides legal representation in San Joaquin, Merced, Fresno, Santa Clara, Sacramento, Napa, Santa Cruz, Kings, Los Angeles, Orange, and Alameda Counties. In addition to his practice in California, Mr. Niermeyer has been specially admitted to practice law in multiple States for matters including Personal Injury & Product Liability Actions, Child Abduction and Retrieval, Criminal – Post Conviction Relief hearings, and Child Custody & Visitation matters. His years of experience and previous occupation as a police officer provide Mr. Niermeyer with great insight and a distinct advantage when evaluating police or other investigative reports in both civil and criminal matters. Mr. Niermeyer is known for his commitment to his clients, complete knowledge of and personal handling of each case, and his unrelenting dedication to obtain the best possible result for every client. Following the successful operation of his own law office since 1998, Mr. Niermeyer joined Adam J. Stewart of Moorad, Clark & Stewart in 2010. Combined, Mr. Stewart and Mr. Niermeyer offer one of the most diversified law practices within the San Joaquin/Central Valley with offices in Modesto and Stockton. Together Mr. Stewart and Mr. Niermeyer have recovered millions of dollars for their civil clients and obtained favorable results or the dismissal of charges for their criminal clients.